Change is an unavoidable part of life. Change can create stress and anxiety, but it also provides an opportunity for growth--a chance to thrive. In times of transition, therapy can help you gain clarity and learn strategies to better cope with stress and change, to recognize and alter self-defeating patterns, and to support positive movement toward a more fulfilling future. Dr. Christina Noble received her Ph.D. in Counseling Psychology from Georgia State University. She is a Licensed Psychologist (PSY003763) as well as a Licensed Professional Counselor (LPC006328) in the State of Georgia. Additionally, Dr. Noble is a Certified Clinical Hypnotherapist. Dr. Noble is also a board member for OCD Georgia and has served on the Executive Board and Therapist Advisory Council for the VALOR Institute for Dissociative Disorders. Dr. Noble specializes in anxiety disorders, mood issues, OCD and trichotillomania, childhood trauma and dissociation, family of origin and ACOA issues, as well as various substance and process addictions and eating disorders. She also provides coaching for gifted adults and individuals with ADHD, and conducts psychological assessments for ADHD, Eating Disorders, Learning Disabilities and other mental health issues. Dr. Noble utilizes a psychodynamic-relational approach to therapy, building insight into the roots of personal and relational challenges, as well as incorporating Cognitive-Behavioral interventions for symptom relief. She strives to help clients co-create an environment of warmth, safety and respect, wherein healing and active, positive change can occur. Chris has worked extensively with emotion-regulation work, behavior modification and assertiveness coaching. Research foci include perfectionism, stress and coping, attachment and giftedness. Dr. Noble practices at both The Anxiety & Stress Management Institute Marietta and Decatur Locations. 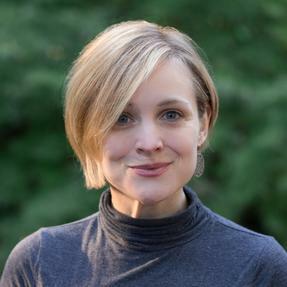 In addition to being a therapist, Dr. Noble has experience as a college instructor for Career Development and Life Planning in the Georgia State University Counseling Department. As a career counselor, Dr. Noble uses a combination of valid assessment tools and narrative approaches to career counseling in order to help clients gain insight to their personal style, personality, career values and strengths. She then works one-on-one with the client to match those factors with careers that are rewarding and well-suited to them as unique individuals. With her training as a psychotherapist, Chris can also help clients to navigate life transitions and to overcome obstacles that may be infringing on both career and life satisfaction. Individuals who are currently unemployed or underemployed, or are dissatisfied with their current work, who are transitioning from one career to another. Women returning to the workforce after having children or whose children are beginning school or college. Individuals in recovery who are returning to the workforce. High School and College Students who are deciding on a college major or career path or need assistance in the college application process. Retirees who are currently making decisions regarding "next steps," including second careers and adjusting to retirement. Dr. Christina Noble is licensed in the State of Georgia as both a Psychologist (License # PSY003763) and a Licensed Professional Counselor (License # LPC006328).